Step 2: Add the mayonnaise, mustard, Worcestershire sauce, and Sriracha and process to a thick purée. Spoon this mixture back into the egg white halves (or pipe it in with a pastry bag or a resealable plastic bag with a lower corner clipped). Sprinkle the tops with chives and/or smoked paprika. Or top with salmon caviar or shredded brisket or pork. Chill, covered, until serving. 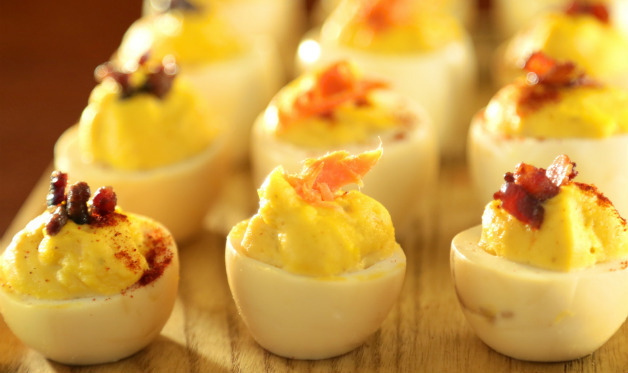 Get more ideas for smoked and grilled eggs.